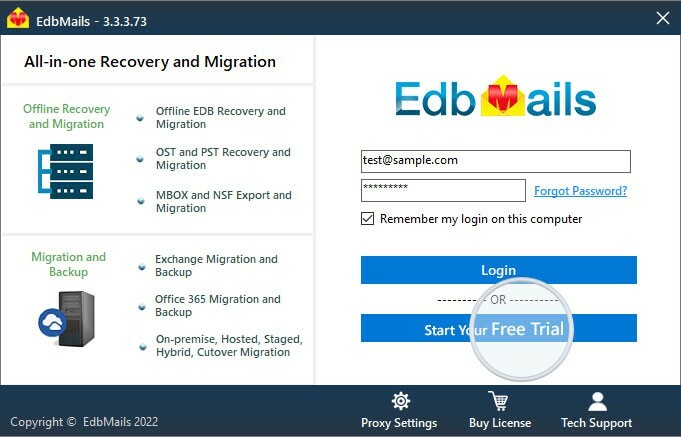 Click the "Browse for EDB" button to navigate to where the Public folder EDB is located. 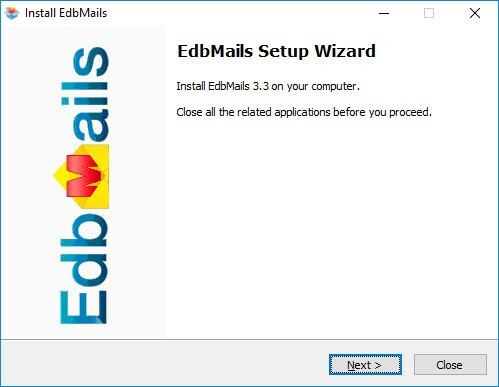 If you are using Exchange 2003, EdbMails will automatically look for the corresponding STM file in the same location. 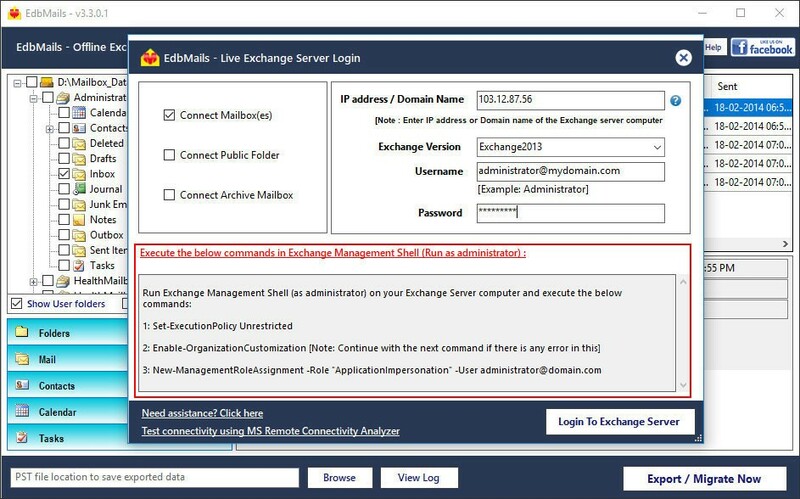 If you are using Exchange 2007 or above, STM file is no longer used. 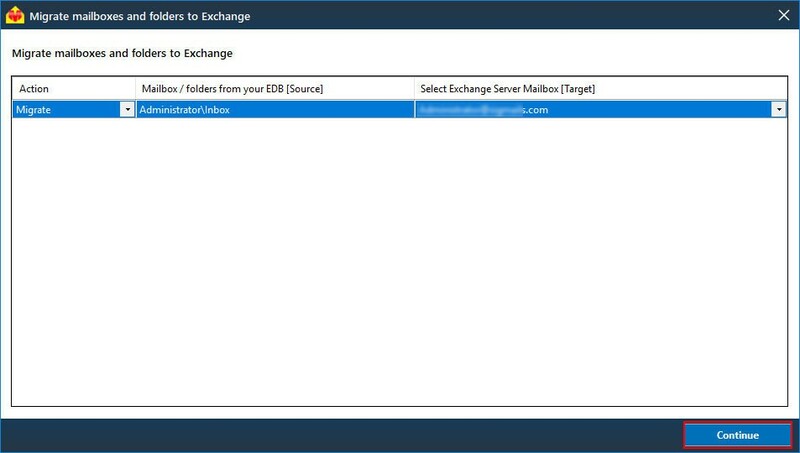 b. Click the "Export Selected Mailboxes / Folders to Live Exchange Server" to continue. 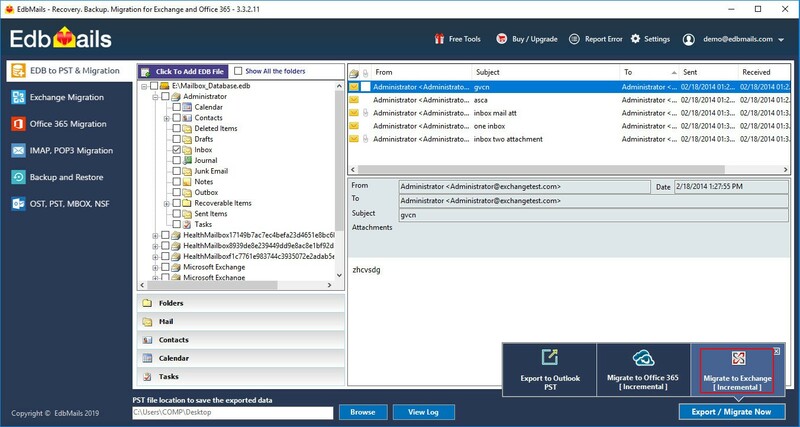 c. Check the 'Connect Public Folder' checkbox as shown in the below image. 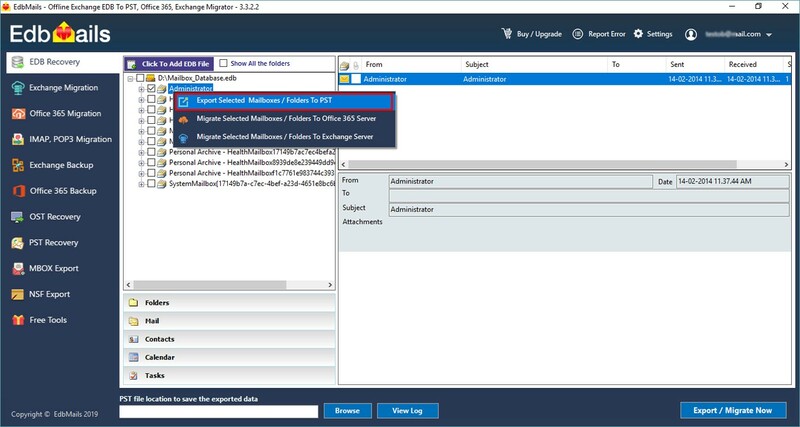 Before connecting to Live Exchange Server, set the impersonation rights to Exchange Server user. 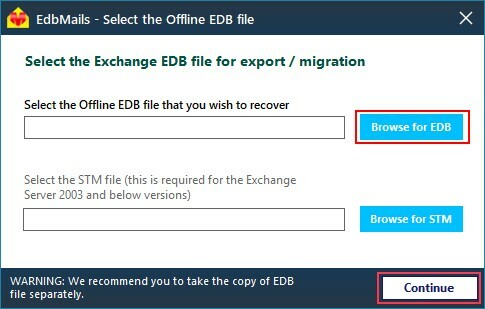 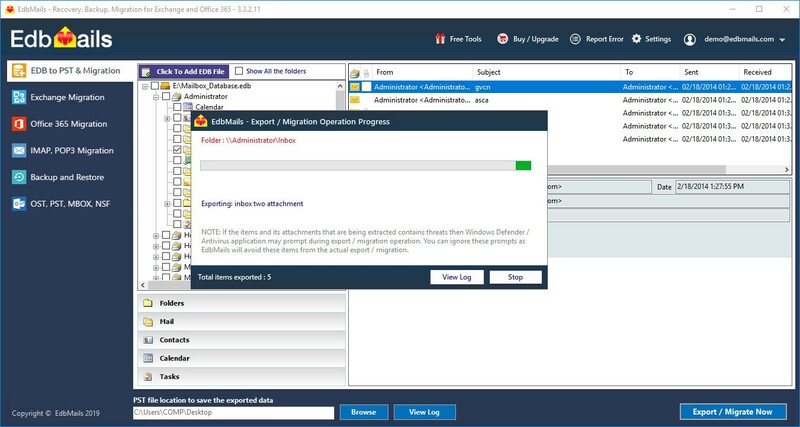 f. After the successful login, Map the Public folder to Live Exchange Server mailboxes and click on "Migrate EDB to Live Exchange" to export.